Around the world, projects are helping to drive sustainability beyond the building by participating in SITES, a rating system that defines what a sustainable site is, and elevates the value of landscapes in the built environment. Land is a critical component of the built environment, and SITES addresses all aspects of a sustainable landscape that could influence its potential function or performance—considering water, soil, vegetation, materials and our own interaction and connection with the site. SITES can be applied to just about any project, anywhere in the world, on sites with or without buildings. There is also no maximum size limit for a SITES project, and GBCI will work with your team if you have a project smaller than 2,000 square feet for which you want to pursue SITES certification. Find out if your project is eligible, or get started with SITES certification by contacting us. As of March 2017, almost 72.4 million gross square feet of space across 31 states and four countries have registered or certified with SITES. Here are some examples of projects that have helped to define sustainability beyond the building by certifying with SITES. In 2012, Navy Pier Inc. decided to undergo a major renovation at the Chicago Navy Pier, and in 2016, the project achieved SITES Gold certification. 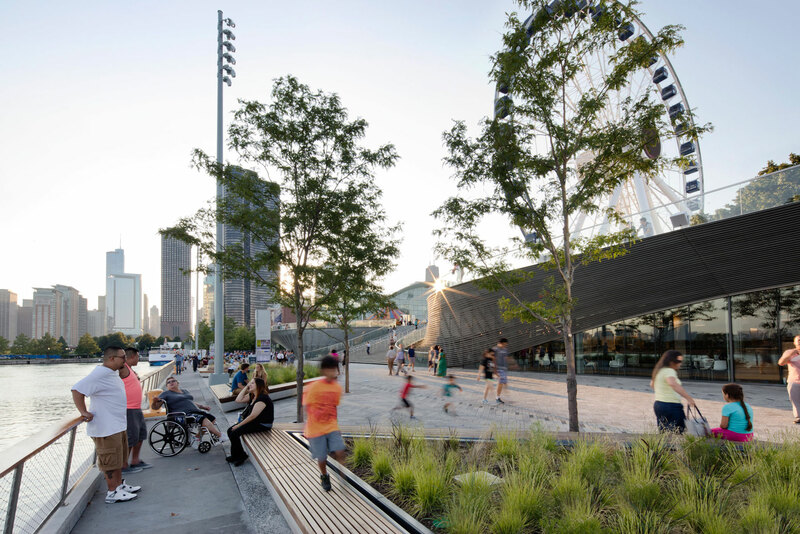 The renovation has made Chicago Navy Pier not only a world-class destination, but also a center of activity and culture tied back into the very essence that is Chicago. 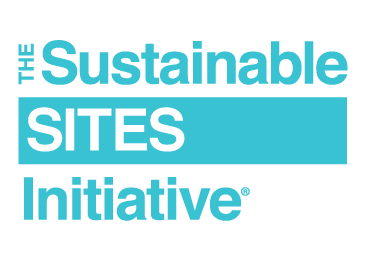 In July 2016, the Campus Transformation Project at the University of Texas at El Paso received SITES Silver certification, and became the first project certified under v2 of the SITES rating system. 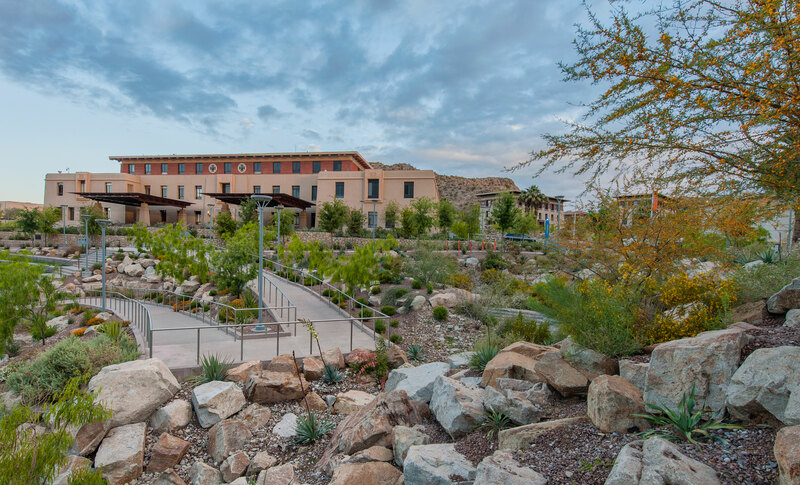 The project transformed the heart of UTEP’s campus from an automobile-centric environment dominated by asphalt into an inviting community landscape by increasing the vegetative area of the site by 60 percent. 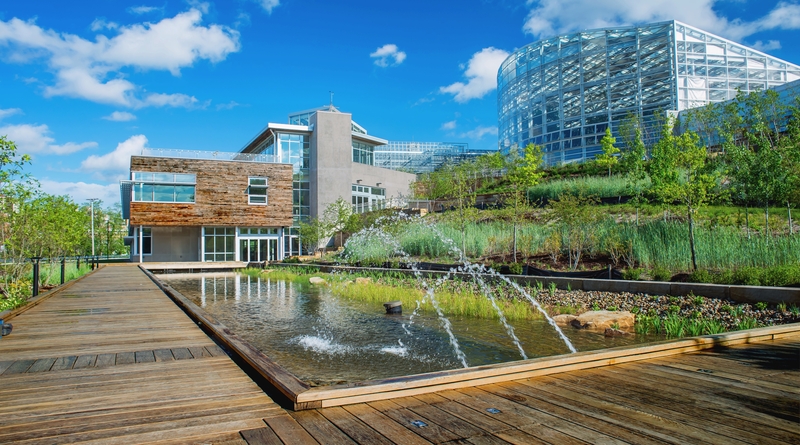 The Center for Sustainable Landscapes (CSL) at Phipps Conservatory and Botanical Gardens achieved LEED Platinum certification, SITES certification and The Living Building Challenge certification. Built on a previously paved-over city maintenance yard and documented brownfield, the nearly three-acre site uses a range of green infrastructure strategies, has successfully reintroduced 150 native plant species and is designed to be net zero on energy and water use. 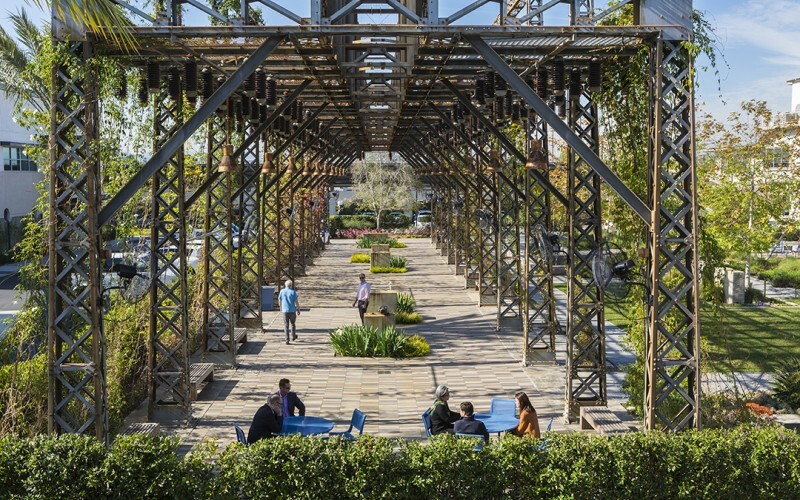 The SITES-certified Burbank Water and Power (BWP) EcoCampus transformed the utility company’s Magnolia Power Plant site from an industrial complex into a regenerative green campus and features one of the longest green streets in Southern California. The project showcases products and techniques for stormwater treatment, such as a canal that uses plants to treat storm water, and includes three vegetated green roofs, a photovoltaic array that hosts a rainwater catchment system, a solar-powered fountain pump and salvaged and repurposed concrete and gravel. To read more about these and other SITES-certified projects, visit our SITES project directory page for in-depth case studies. Read about the site context, design and construction, operations, maintenance, education and innovation strategies that projects are implementing to achieve certification.